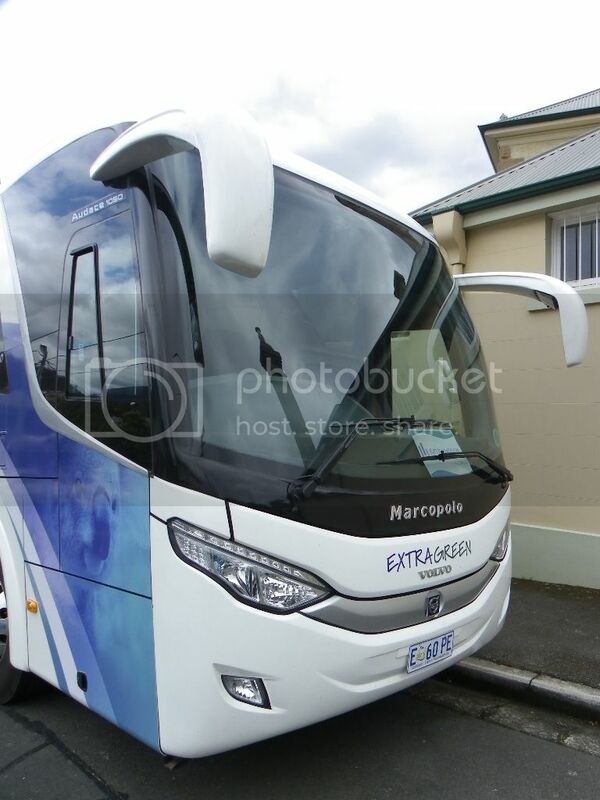 A NEW vehicle to Tasmania's shores is this VOLVO B7R with Marcopolo Audace 1050 body. 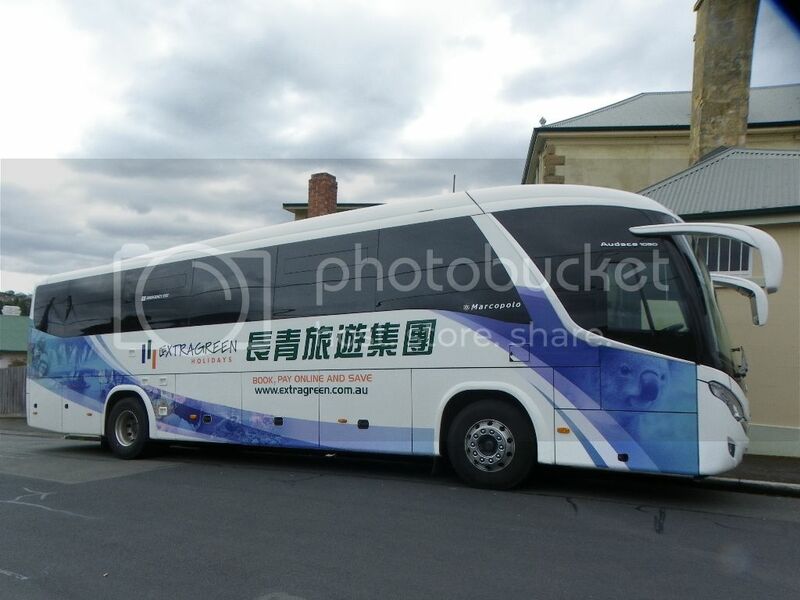 Operated for EXTRAGREEN HOLIDAYS, it's believed the owner is from Sydney and setting up in Hobart. 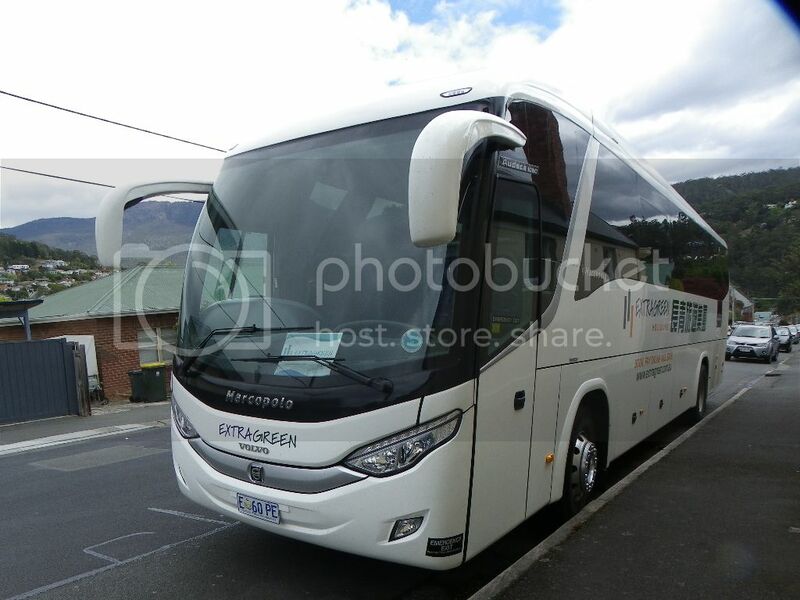 I found the coach parked in South Hobart yesterday, so took the opportunity to snap some pics. Thanks for the post, great photo's. 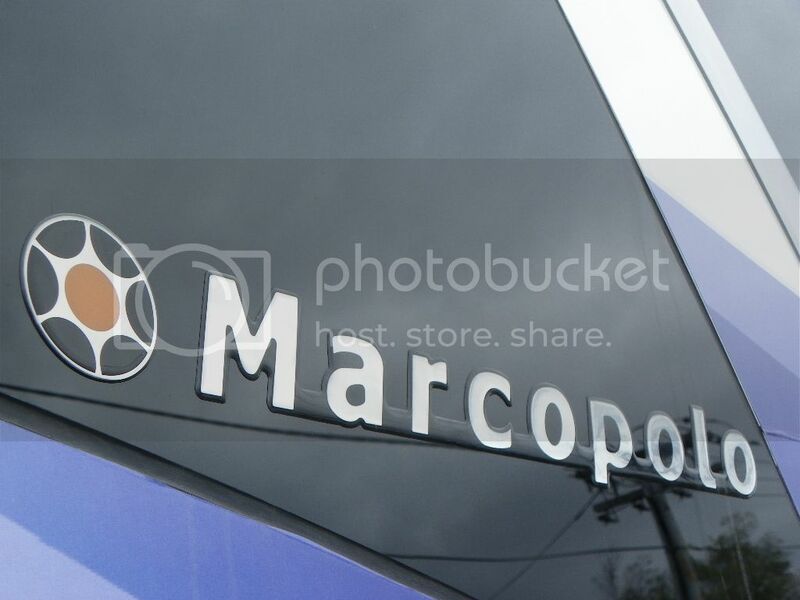 These Marcopolos are indeed a great looking vehicle (to my bleary eyes,) but there are some things about them that need, in my opinion... addressing. Those bloody mirrors are excellent for hiding overtaking cars. 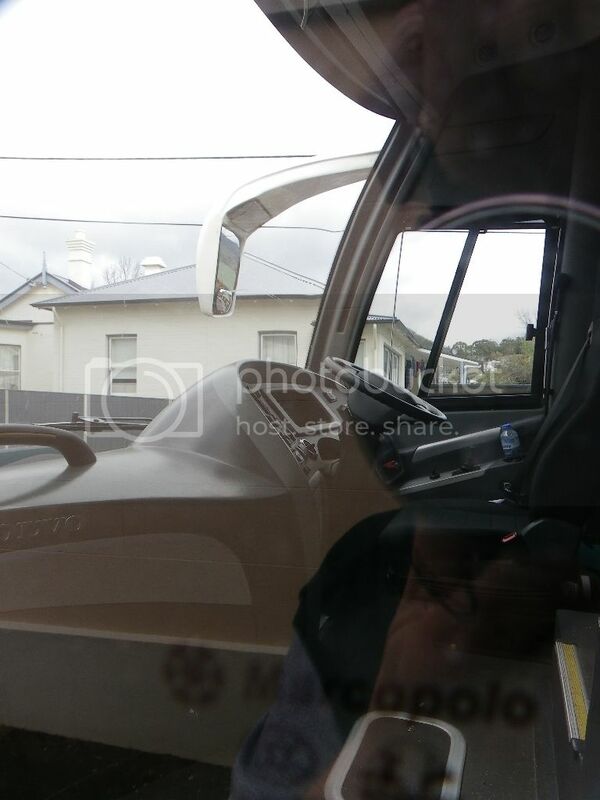 If you look at picture 3, it seems that the owner or driver has added stick on mirrors which would now allow him to see what he needs to see, but because the original mirrors are curved he will find that they will come unstuck, unless he has taken to adding extra sticky to them. Whereas before the driver would be craning his neck in all directions to see what was coming through... either side. night time is to me with these mirrors is just plain scary. without adding rain. 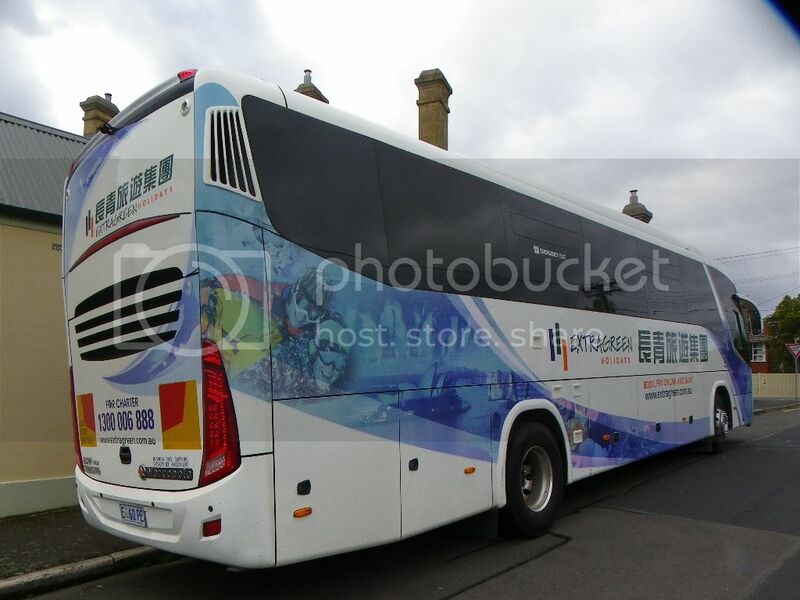 We have got 3 of these, 2 have the Volvo B7s in them and they go good. 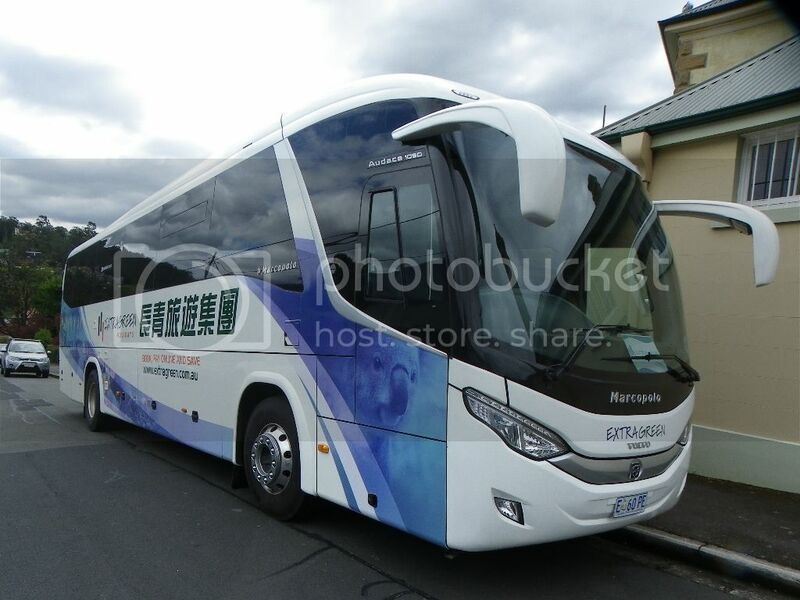 1 has a Volvo B9 in it and it goes gooder. B9s always go gooder. Looks good. 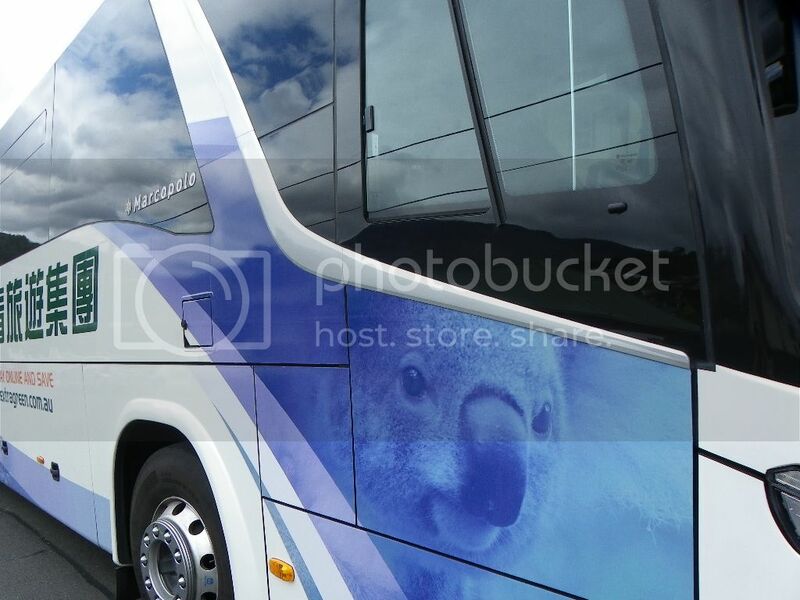 This bus does look like an European style bus. I prefer this kind of wipers. I would hate to be the one paying for a replacement windscreen and those mirror arms. 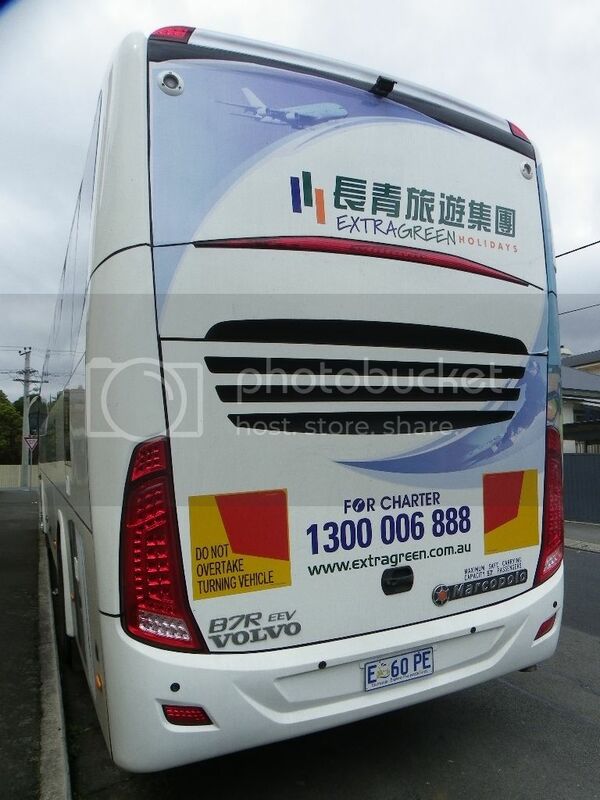 The owner of Extragreen Holidays is based in Melbourne,unless they have subcontracted the operation of this coach. burrumbus wrote: Thanks for the photos,Neil. 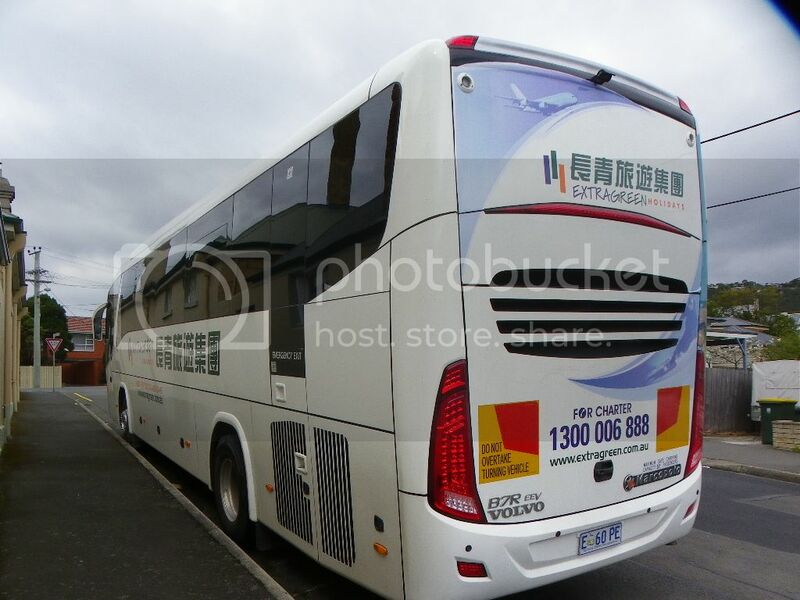 Coach has had all signwriting taken off it, in the last 6mths. Now plain white.